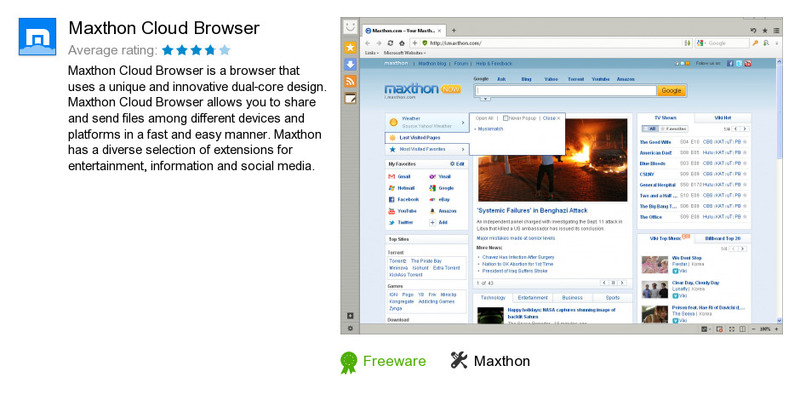 Maxthon Cloud Browser is a software program developed by Maxthon. We know of versions 4.9, 4.4, 4.3, 4.2, 4.1, 4.0. Version 4.9.2.1000 is available for free download at our site. Maxthon Cloud Browser package has a size of 48,001,762 bytes. As Maxthon says: A cloud browser.